I have never had the right conditions to grow trilliums but that doesn’t stop me from lusting after them. I have struggled with them every now and then, usually with the relatively common and therefore less horribly expensive T. grandiflorum, but most of my experience of them is on visits to the states of Washington, Oregon and California in May when I have seen trilliums growing wild, usually in semi-shaded, moist areas, often seasonally wet as snowmelt soaks the ground. Seeing them in their glory with Mount Hood above me is a memory I will always treasure. With their perfect trio of leaves and three-petalled flowers they are all attractive. Some have flowers on stems above the foliage and are often nodding while others have blooms that sit directly on the foliage. The blooms are usually white or pink to maroon but sometimes yellow. The leaves can be green or mottled with purple, often in a chequered pattern and heights can vary from 15-40cm. 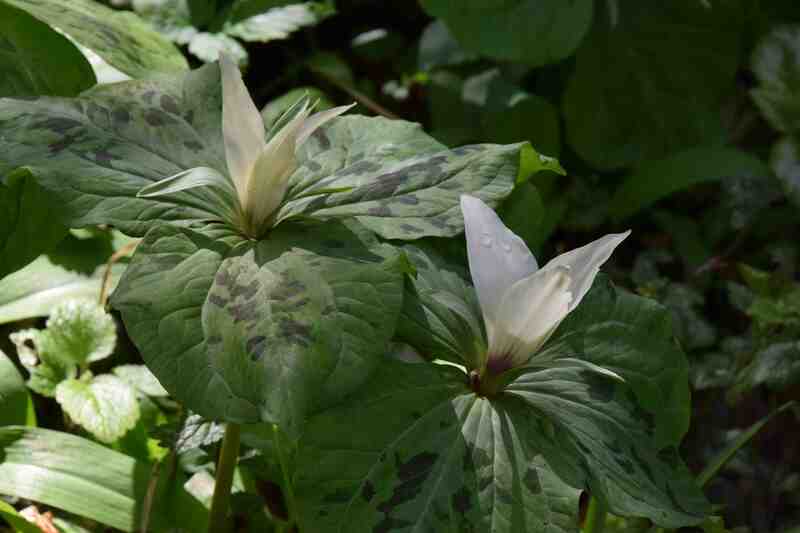 This trillium was growing at Mount Usher and was not labelled but I think it is Trillium albidum which sometimes has purple-flushed flowers and leaves. However, if you know better I would be glad to know! 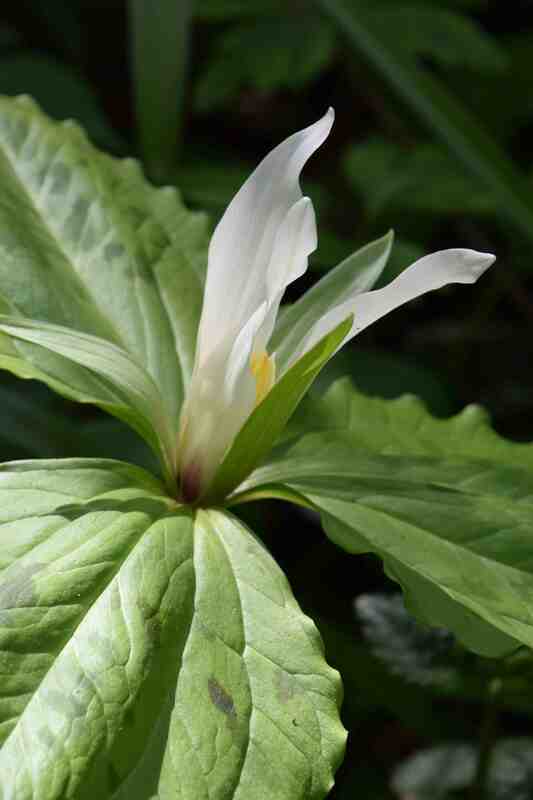 Trilliums are longlived – if they have semi shade and humusy moist soil (which I have always struggled to provide) and grow really slowly – especially from seed. 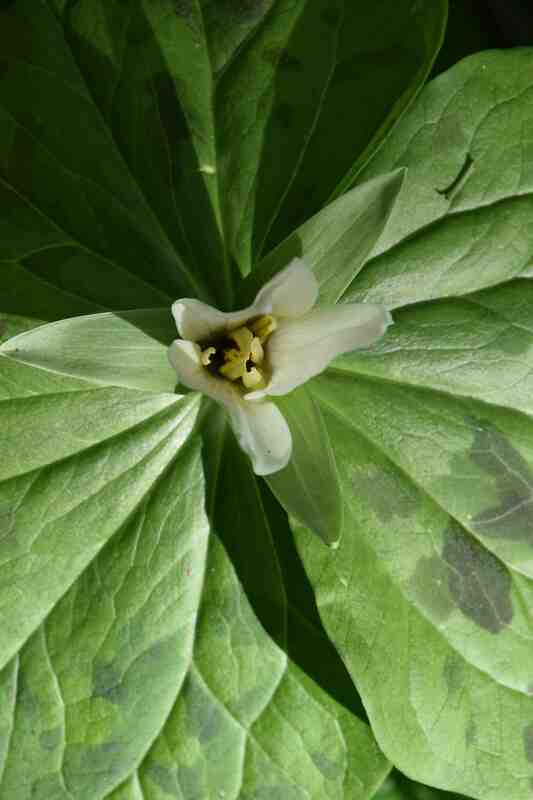 Trillium grandiflorum and its madly lovely double form are the most common but I have never seen an ugly trillium. The related Paris genus is similar but a bit more of an acquired taste but I have seen the British native P. quadrifolia in the wild with its four leaves and it too is a subtle beauty. I will pour myself a Guinness tonight to celebrate this – my 500th post. How time flies.